So what has happened since 2002? A group of 12 Saxon & Knyvett cousins walked the Heaphy Track to follow in the footsteps of their ancestors who worked on it's formation. 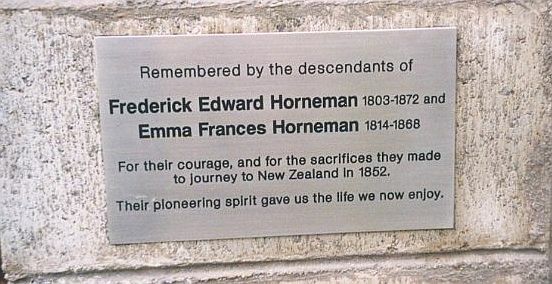 A group of 7 Horneman, Knyvett and Saxon descendants attended the re-dedication of Pioneer Park at Motueka, where a plaque remembering Emma and the Captain was unveiled. Alison Sleath, a Horneman from Australia was instrumental in this. Alison has compiled the Horneman history on CD. Click here to find out more. 3 went to Motueka for 150th District Celebrations, for which we provided a brief written history of each of the 3 families. We have established where John Devis Saxon is buried, and have a copy of the inscription on his headstone. We have found the burial place of 'Jock' Saxon. The Horneman's have been busy in Australia. Click here for more details. 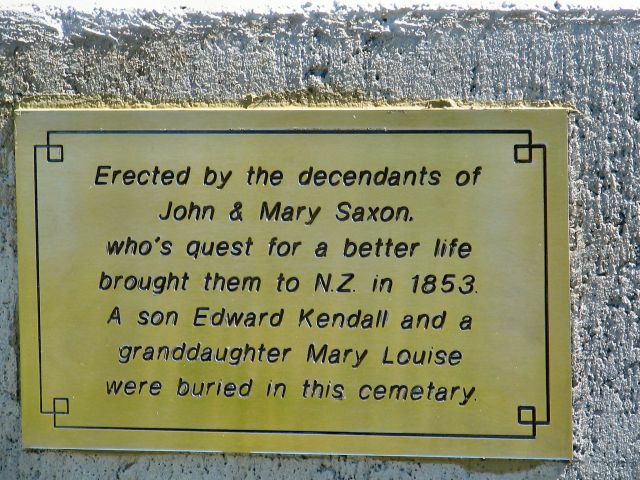 We have found and tidied the grave of Mary Hyde Saxon. We are actively trying to locate the burial place of her husband, John Saxon Snr. Douglas Coombs (one of the South Island Saxon's) has written a great book about the Von Tunzelmann saga. You may be indirectly related - but if not you will be interested. Check it out here. We have restored Vol 4 of the Horneman Bible, containing important info about the Captain's family.